What makes up for a great RPG game? There are really no complex characteristics, just some plain features enough to make us RPG fans glued to our TV sets or LCD Panels from sunrise to sundown trying to beat the game at one sitting. But only to play it again for the second time to explore other areas, find other treasures and maximize the character points to HP999. In short an RPG game must have a rich world environment which is gorgeous and vast enough to explore over and over again, an engaging store, dozens of interesting side quests, adaptable combat and magic system, and of course an excellent and engaging musical scoring. Some prefers to have good voice acting for the characters. The good news is, you can have all these RPG characteristics as you play Elder Scrolls. Coming from previous versions on the Xbox 360 and PC, the Playstation 3 version of this game got a lot of things to prove and beat. And it did so with its great gameplay, storyline and beautifully conceptualized and rendered world environment. What is so good about this RPG title is the fact that it offers you tons of dungeons to explore and subquests to do and complete. Or you can also go through the main storyline and finish the game before exploring other areas that awaits to be explored. Gameplay wise, you won’t have boring moments when playing this game. Its battle system alone is enough to enjoyment. And for those who are less masochistic and would rather go through the game with minimal battle encounter, the game offers an invisible mode where you can pass through enemies. But what’s the essence of an RPG game if you won’t have those random battles which increase your characters stats, right? This game offers your traditional RPG elements such as character skills building system, tons of enemies and creatures to fight, as well as various guilds that you may try to build your character on. Becoming member of a particular guild is essential for your character to fulfill his destiny in the main storyline of the game. 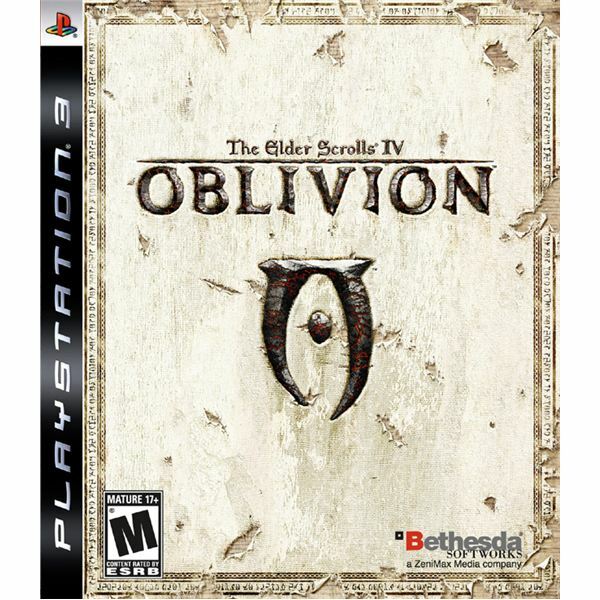 Elder Scrolls: Oblivion is definitely a must have title for PS3 owners, more especially those who are into RPG genre. Oops, pardon me for blabbering about the great features of this previously listed RPG title. It is definitely a great game and should not be missed out. 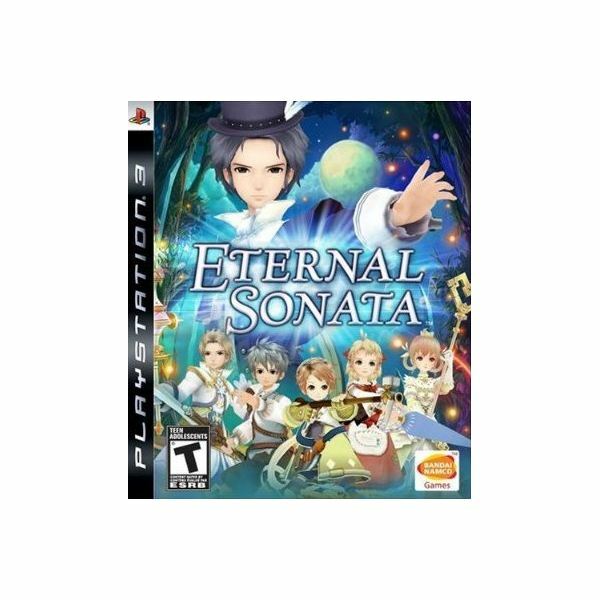 Anyway going to our second RPG title for the PS3 – Eternal Sonata. This game’s feature highlights include: visually stunning, interesting storyline peppered with interesting characters, great musical scoring, and a combination of real-time/turn-based combat. The last feature alone is enough to make you purchase this game and have a blast with it on your PS3. Eternal Sonata was first released in 2007 for the Xbox 360. Some aspects of the game were directly taken from its Xbox 360, but some new dungeons, cut scenes and musical tunes were introduced to make the PS3 game different from the Xbox 360 version. Story wise, Eternal Sonata is a romance type of RPG title but with such a great battle system. You take control of the game’s main character, Frederic Chopin who happens to be a talented composer whose mind becomes the setting for an alternate reality which is magical and interwoven with multiple stories which will later on converge into one. Choping will be joined by various characters and all together they must fight the evil Count Waltz and thwart his evil plans of turning the people into mindless slaves. Eternal Sonata’s major strength as an RPG title definitely lies in this unusual storyline. But it’s just one reason why you should play this game. Playing the game is like watching a movie due its gorgeous cut scenes, and interesting dialogs of the characters. Next to Elder Scrolls, PS3 gamers should consider getting this game. Characterized by beautifully rendered faux-3D anime art style environment, this game also features great voice acting sequences which are evenly distributed all throughout the game. Story wise, the Valkyria Chronicles offers an engaging and exciting storyline which follows the adventure of Welkin Gunther, a 22 year old nature lover who happens to be the son of a legendary war hero. But wait, the greatness of this game doesn’t solely lie on pure aesthetic beauty. More importantly this game offers a great gameplay, topped by an innovative battle system. What is so unique about the battle system of this game? For one, during a battle sequence, when you select a character to attack or defend and the camera would zoom in to a real-time battle environment where you can dispose your enemies at your own will. But not without a fight though. In fact, those fights are so difficult that you might get frustrated after so many tries. But like they always say Patience is a Virtue, and you should definitely have tons of patience as you battle your way through the game’s great ending. The North American version of this game won’t be out till November 2008. If you don’t mind playing the Japanese release and you can actually get it from US stores, what are you waiting for, get the game now.